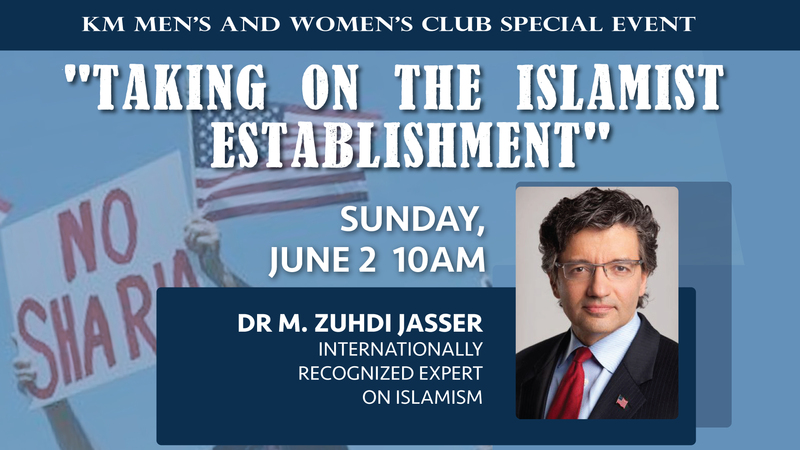 Dr. Jasser, President and founder of the American Islamic Forum for Democracy, a Muslim led think tank based in Phoenix, AZ, addresses the root cause of radical Islamist terrorism. AIFD’s mission is to advocate for the preservation of the founding principles of the United States Constitution – liberty & freedom – through the separation of mosque and state. AIFD is dedicated to providing an American Muslim voice calling for genuine reform against Islamism and the ideologies which fuel global Muslim radicalization. AIFD promotes reform-minded Muslim voices for liberty, and is shaking the hold which Islamist groups like the Muslim Brotherhood have upon Muslim leadership. Dr. Jasser is an American Muslim and son of Syrian immigrants who fled Ba’athist oppression in 1966. He is a physican in the private practice of internal medicine and nuclear cardiology in Phoenix, Arizona. He served 11 years as a medical officer in the U.S. Navy. He is a former commissioner and Vice-Chair of the U.S. Commission on International Religious Freedom (USCIRF) appointed by the U.S. Senate serving from 2012-2016. Dr. Jasser is widely published in the field and is featured in many top tier media. He regularly testifies to the U.S. Congress on the threat of global Islamism and domestic and foreign counter-ideology strategy. 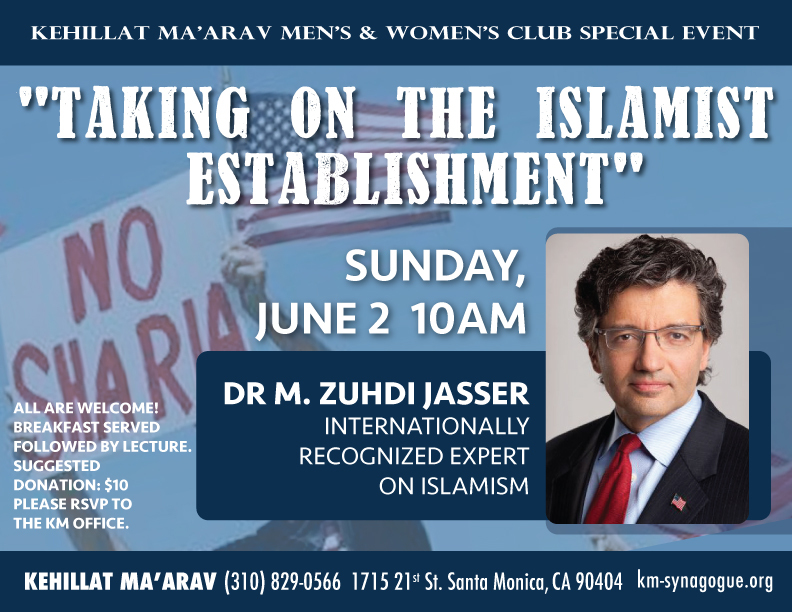 Dr. Jasser will speak in person at Kehillat Ma’arav Synagogue thanks to a generous grant from an anonymous sponsor.